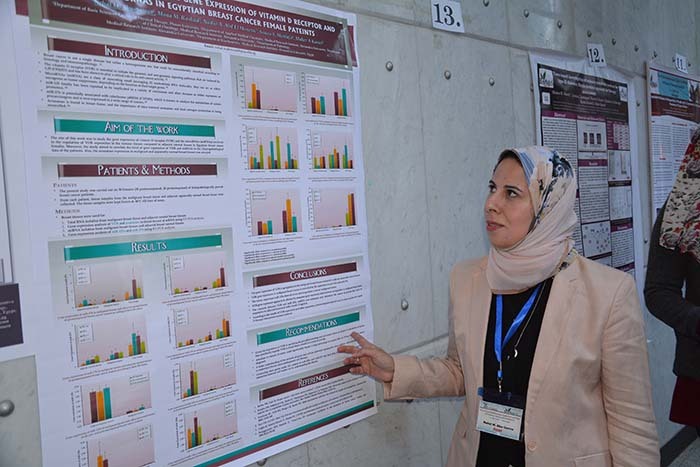 Dr. Nehal Mahmoud, a Biochemical Professor at the Basic Sciences Department in the Faculty of Physical Therapy participated in the 6th Euro-Mediterranean Conference of Life Sciences, Pharma and Biomedicine (BioNat-6). 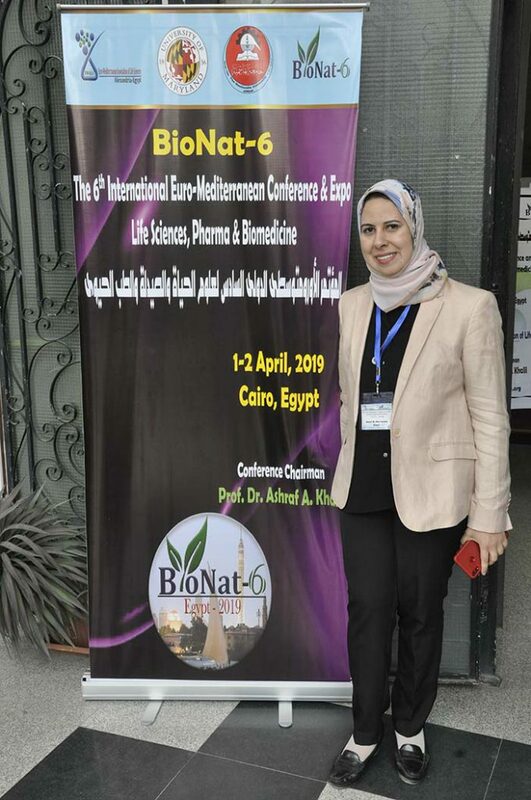 This was held on the first and second of April 2019 in the Conference Hall at the Cairo University Campus. 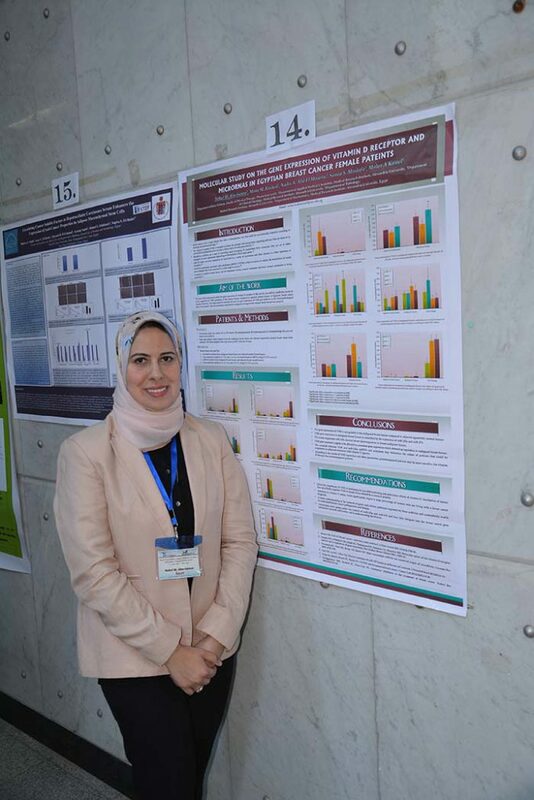 Dr. Nehal Mahmoud presented a research entitled “Molecular Study on the Gene Expression of Vitamin D Receptor and MicroRNAs in Egyptian Breast Cancer Female Patients” which was displayed in the form of poster. 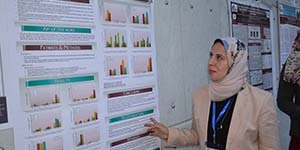 The conference was divided into two sections: workshops and a presentation of the participants researches.